In this second edition of A Guide to Dissection of the Human Body, certain dissecting instructions have been revised to increase clarity. Methodical and comprehensive, the guide complements various anatomy courses. 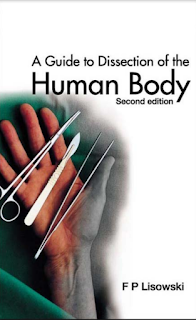 The terminology has been checked and brought up to date, in accordance with the latest version of Terminologia Anatomica (1998).The major aim of this guide remains — to provide a well-rounded dissecting manual that reinforces, but does not replace, a textbook of human anatomy. The details of human anatomy covered here are of interest and importance primarily in a medical context. To this end the guide has been designed for medical, dental, osteopathy and physiotherapy students, and for students of alternative medicine where dissection of the human body is required. It has also been planned for postgraduate students proceeding to specialise in the various clinical (surgical, radiological, emergency medical, and gynaecological) sciences and thus need to revise their anatomical knowledge through dissection.It has to be stressed, learning anatomy is most efficient and retention is highest when didactic study is combined with the experience of dissection. In using this method one observes, palpates and moves parts of the body. It is a three-dimensional and visuo-tactile approach to the examination of the human body. Undoubtedly dissection reinforces and expands the knowledge gained from the textbook and from atlases and computerized-anatomy programs, The Guide is flexible enough for use in long as well as short courses, and is thus structured in such a way that the dissection of the body can be completed in 100 to 160 hours. It provides a link to real, living and variable anatomy.